This 3-bedroom apartment on Wolvengracht, in Brussels City Centre is spread over a spacious 200 m², and has a lovely open plan kitchen and comfortable living room. At the top of a small set of stairs you will find one of the apartment's most unique features: a very cool terrace. Central heating is installed, and there is 1 tidy tiled bathroom. 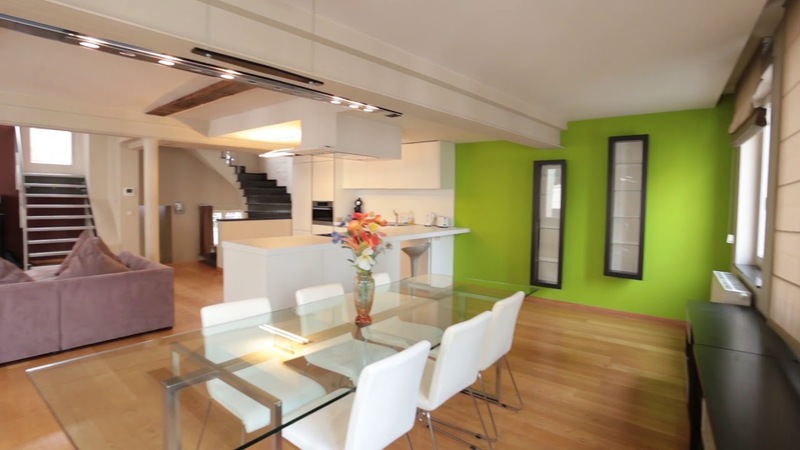 The apartment is located in Brussels City Center, right in the heart of the city. From here you will be within easy reach of some of the city's most iconic spots, as well as excellent bars and restaurants, cafes and shops. The Metro is within walking distance too, so getting around town is easy. A Metro station is within easy walking distance, so getting around is easy. The apartment is in excellent condition, with modern furnishings and a stylish decor. The kitchen is modern and open plan, with an oven, stove, microwave and dishwasher. There is a unique terrace, which makes a great spot for afternoon drinks. The apartment is spread over several levels, with some steep sets of stairs. The De Brouckere metro station, which serves lines 1 and 5, is a 3-minute walk from the apartment.